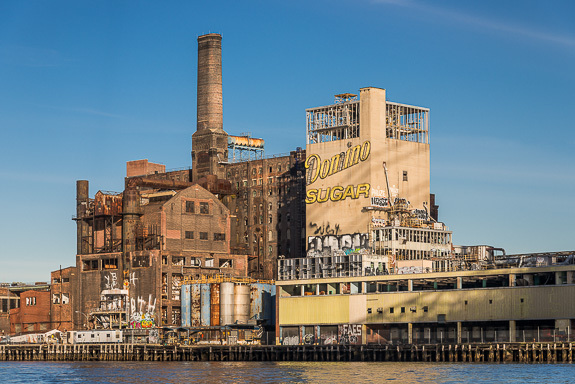 Once the biggest sugar refinery in the world, Domino shut down in 2004, after a long struggle. Most Brooklynites of my generation know it as an icon on the landscape, multiplied on t-shirts and skateboard graphics. Urban explorers sly enough to breach the gates have found a playground of sublime, post-industrial texture and nostalgia. I’ve been attracted for a long time to the iconic and esthetic features of the place. I also realized that if I had the chance to photograph it, I’d want the work to explore something more. In 2013, the owner of the site, Two Trees, generously agreed to let me in. I had proposed a project that would attempt to look beyond the popular surface of Detroit-style decay photography. My goal was an expansive, even messy, fusion of art, icon, and industrial history. I wanted to show the ruin as its majestic self, and also as a lens through which to explore the history of the place and its people. 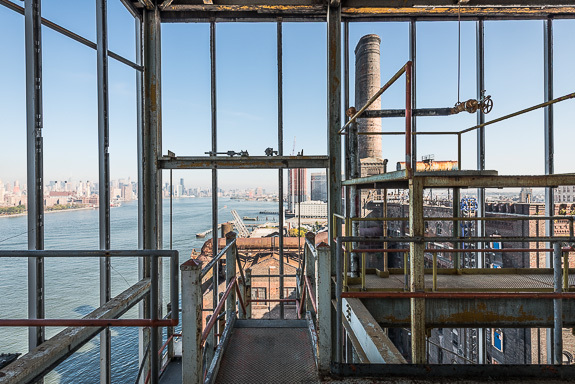 In a sense, I found myself looking at a long-gone version of the country, through a recently-gone industry and community, through a soon-to-be gone abandoned factory. I also found myself working in the abstract, seeing how much chaos could be allowed into the frame, while still making a coherent picture. The visual density and confusion of the place invited this kind formal experiment. The project will ultimately be a book — I hope a big and beautiful one. 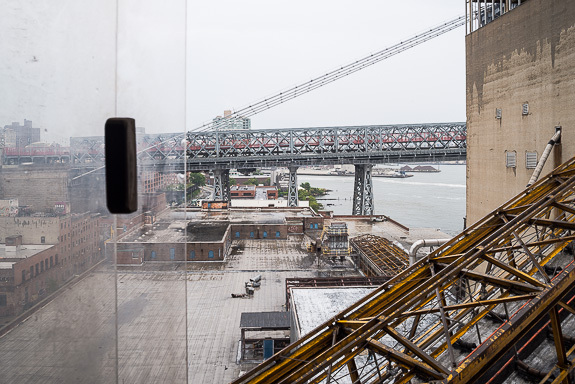 I’ll be working with Matthew Postal, an architectural historian who can show the deep connections between Domino, the global sugar trade, and the history of Brooklyn. I’ll also be working with Stella Kramer, a world-class photo editor, and with a group of former refinery employees, who can tell Domino’s real stories.